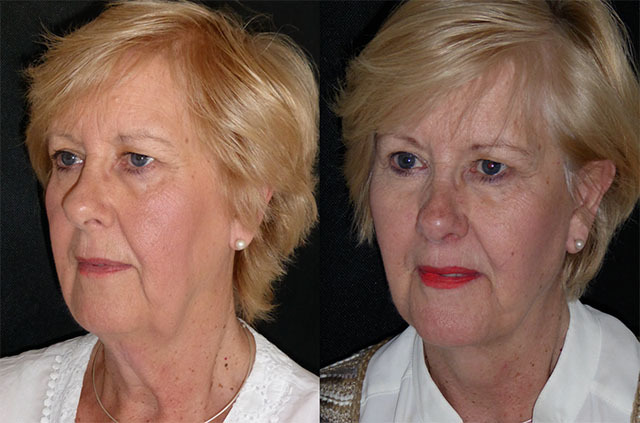 Maureen was looking for facial rejuvenation but had concerns about going under general anaesthetic and the associated downtime and recovery. 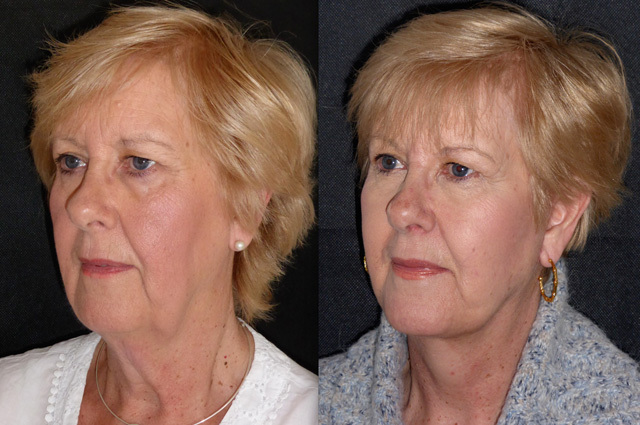 We talked through her options and she decided to have a face and neck lift with platysmaplasty and sub mental liposuction. 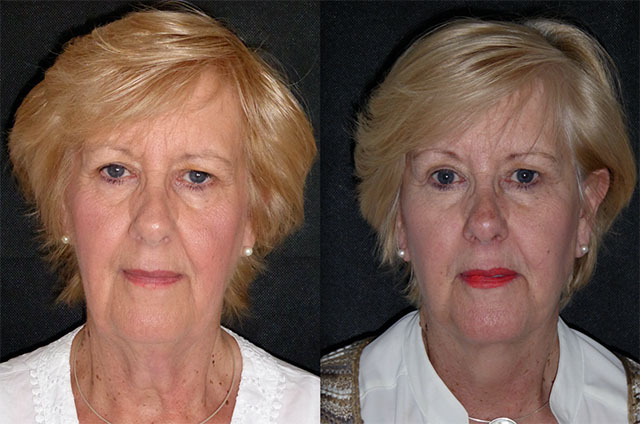 Maureen has already had a lovely result. 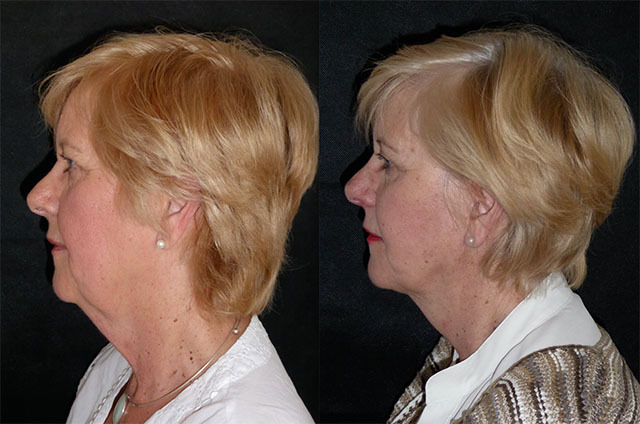 Her jowls have been lifted into her mid face giving lovely rejuvenating volume, and her neck has been lifted after liposuction to redefine her neckline. 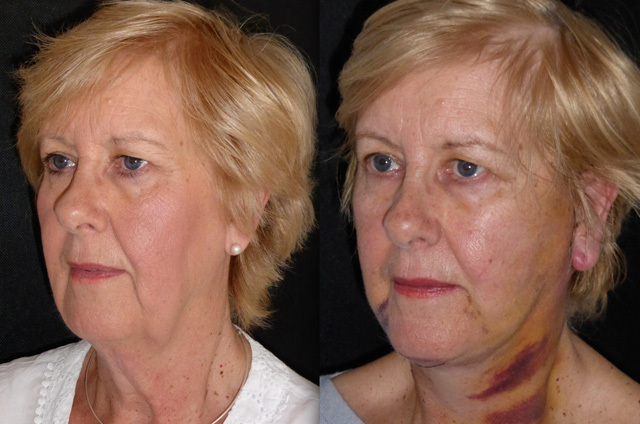 She is a little bruised as expected with significant lipo but this will descend and fade over the next week or two. 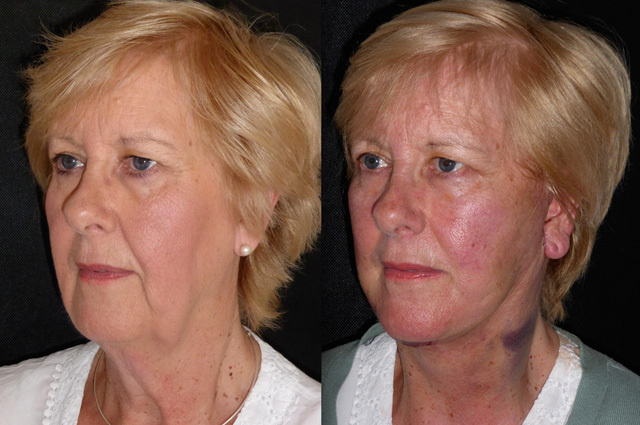 No pain, minimal swelling and an early excellent result. 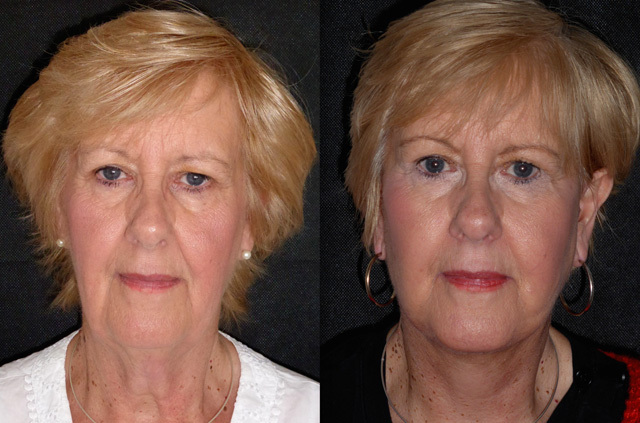 She even wanted to put lipstick on only 15 hours after surgery...I am really pleased for her! 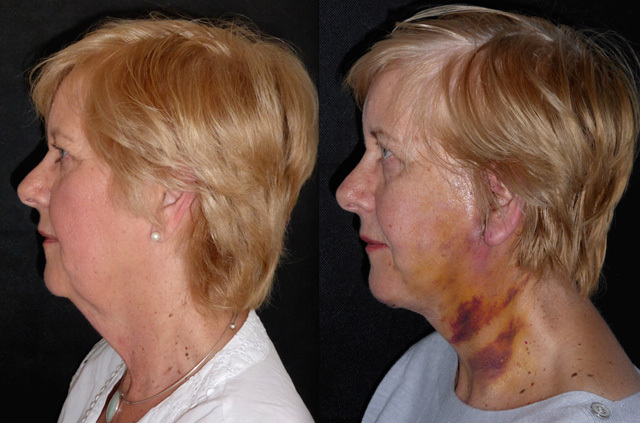 Here is Maureen 7 days after face and neck lift, platysmaplasty and liposuction the under the chin and jawline.Bruising is now out and mainly down in the neck. 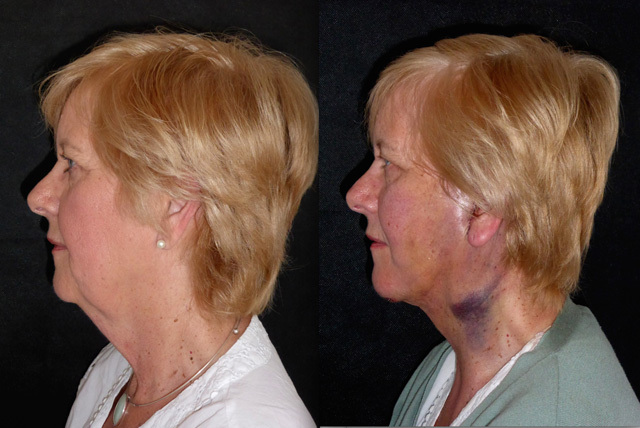 A quick zap with the pulse dye laser and it will be gone in a few days. 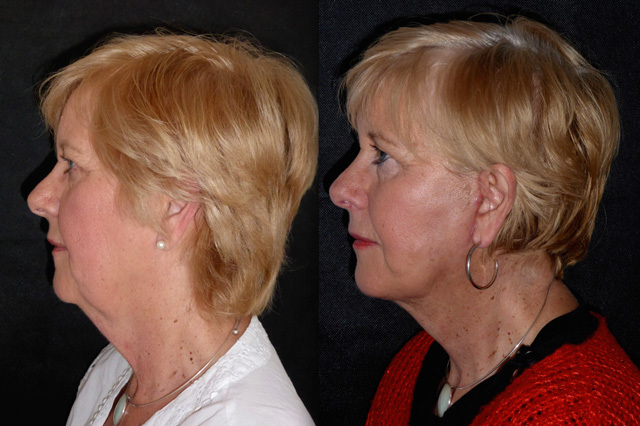 Those jowls have been lifted back in to the mid face giving definition and youthful volume, her neck line is back and she is doing really well. 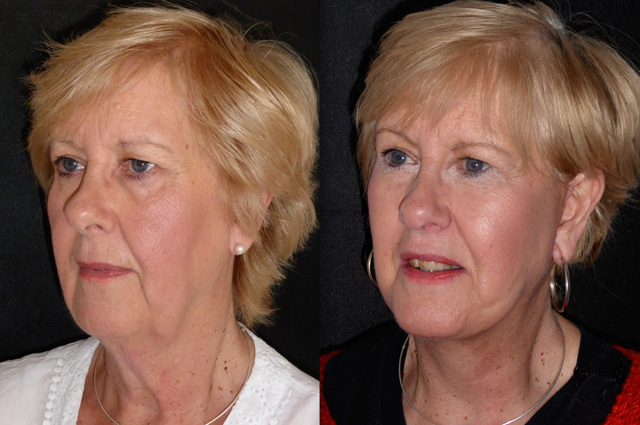 Here is Maureen 4 weeks after face and neck lift, platysmaplasty and sub mental / jawline liposuction. 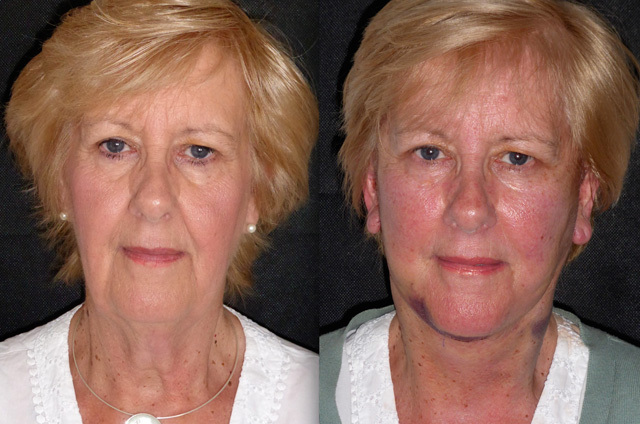 All bruising has now settled and she has settled into her new face. 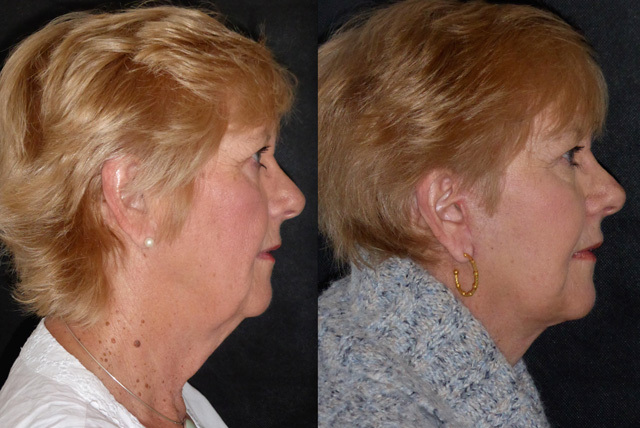 Her jaw and necklines are more defined and she keeps being told she looks really well. Her new face matches who she really is, soft, friendly and kind. 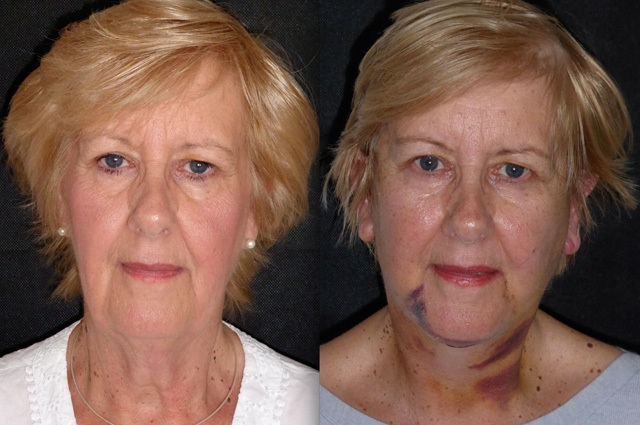 Her incisions will fade over the coming months to leave her looking great. Here is Maureen at 3 months after her surgery. This is a really good time to judge her final result as the relaxation of her swollen tissues immediately after surgery is complete. 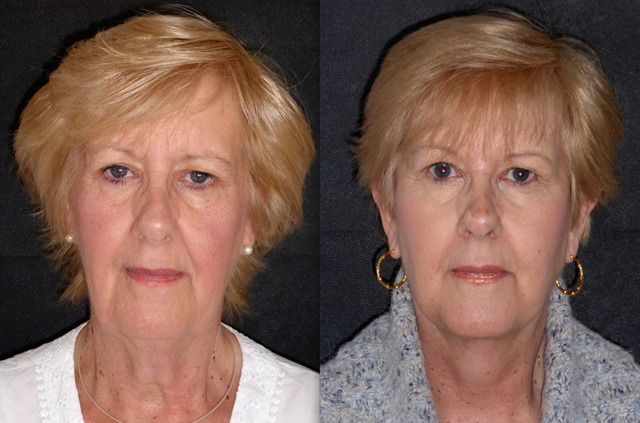 She looks fresh and naturally rejuvenated and this should be her longer term result now. Her scars are healing really nicely. Maureen looks great at 6 months out. All is healing beautifully, the previously heavy neck and jowls are nicely lifted and she looks beautiful, proportionate and so much softer.